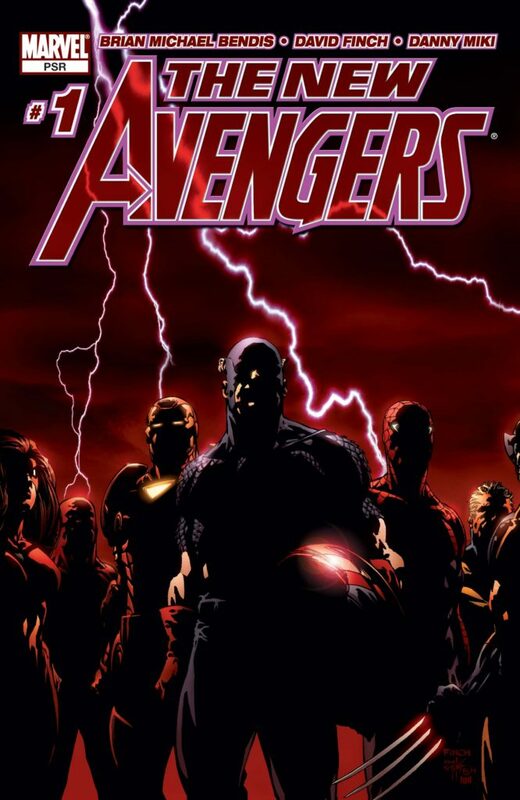 The guide includes the story-by-story or “trade reading order” of all the Avengers team titles from Brian Bendis taking over Avengers with issue #500 in 2004 to the end of his run on the 2010 volumes of Avengers and New Avengers in the wake of Avengers vs. X-Men in 2012. That’s over 350 individual issues from more than a dozen titles. In most cases, I explain the placement of each story and offer special notes for reading. Head to the guide right now, or read on for more background on the period and how I assembled this Avengers resource. B rian Bendis completed the modernization of the Avengers begun by Kurt Busiek in 1998, taking them from a quaint card-carrying club of do-gooders to the Marvel’s Justice League. 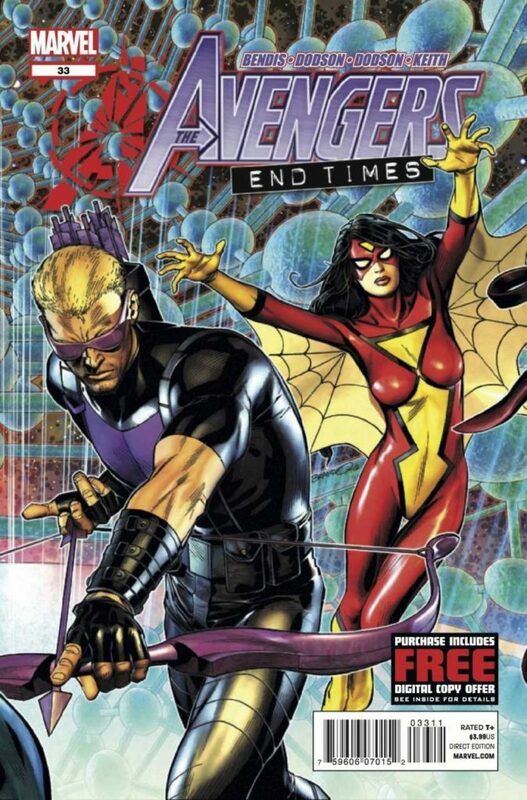 If Busiek helped to centralize and modernize a team that had lost its core in the mid-90s, Bendis made them Marvel’s ubiquitous, movie-ready flagship. After his introduction of new members like Spider-Man, Wolverine, Luke Cage, and Dr. Strange, it became completely normal for any Marvel hero to be drafted into the team if it served a story. The period also expanded the team franchise from its previous all-time high of two books in the late 80s to a minimum of four. It also tangled with a crazy line-up of line-wide events, rivaling 90s X-Men for the amount of interruptions of its plot – to the point that the interruptions became the plot, and standalone arcs were mere breaks in the action. I am historically not a major Avengers reader. In my backlog of 90s floppies I have a decent run of 300s-era Avengers, but it’s mostly owing to Steve Epting’s amazing covers rather than being particularly allegiant to the series. That changed in 2012. We were surging towards Avengers vs. X-Men, which came with rumors of Brian Bendis taking over the X-Men books. I foolishly thought knowing something about The Avengers’ recent history would help me be less depressed about the shoe-horning of Avengers into a rightfully X-Men story or Bendis likely derailing all of their awesome plotlines. I browsed through New Avengers collected editions trying to decide what to sample, and I realized I could not make heads or tails of them. There were two different New Avengers runs with similar numbering and a set books with similar titles and covers that had wildly different contents! It turned out to be not all that confusing once I researched it. Marvel had recollected the 2004 New Avengers run into oversized hardcovers without calling them anything remarkable, like “Deluxe Edition” and largely gave them one of the covers of the two TPBs they consolidated. Armed with that information, it became easy to untangle the runs, and the 2010 runs that followed. I read all of the Bendis-era Avengers that summer, though not with the benefit of a reading order. At the time I didn’t really know anything about Bendis – I had only read his Disassembled, which unfurls so fast you can barely get your feet under you, and his Dark Avengers, whose black comedy I found to be entrancing. I sunk in for a read and was completely stunned by how fresh and fast his early New Avengers volumes were, only to become gradually more disappointed as his run spun its wheels, dragged through Secret Invasion, and used every character interchangeably as an interminable talking head. As it turns out, I’m not much of a Brian Bendis fan. However, I found so much other material that I loved in the period. Young Avengers is brilliant soap. The Initiative is the best team-in-training book Marvel has ever done outside X-Men, and made me fall in love with a massive cast of nobodies. Secret Avengers barely had a single dull issue across multiple writers. Avengers Academy showed you still can start a new comic with brand new characters at the Big Two and make readers care about them. This guide came about thanks to the fine folks at a Facebook group called “The Omnibus Collector’s™ Comic Swap and Community” and founded by another comics blogger, The Omnibus Collector. I’ve only been digitally hanging out with them for a month, but they are some of the friendliest and most-caring collectors I’ve ever met (despite members being frattishly referred to as omni-bros – a turnoff until you realize how sweet everyone is). They welcomed me with a lot of kind words about CK and have answered a ton of my questions about runs outside of my wide swath of Marvel knowledge. Recently, a few members seemed to be very tangled in how to deal with Dark Avengers. What was it? Why did it happen? Where should they read it in relation to other Avengers books in the period? I gamely searched for an existing explanation or reading order, but couldn’t find one that actually worked the way I knew it should from my read four years ago. They were all missing something, or badly ordered, or not rooted in how the story beats unfolded. I found myself explaining my own Avengers journey in FB comments and lamenting how disposable my answers were. Clearly this was a topic that needed more-permanent solving. I sat down to work out how the entire Secret Invasion to Siege period worked across all of the Avengers titles. It wasn’t so hard once I realized Norman Osborn is the key to that period – the appears everywhere. If you figure out what order his appearances occur in based on the arc of Dark Avengers, you suddenly have a rosetta stone to the master order of the entire period. There are still tangles – simultaneous issues and arcs that start and end while others are ongoing. That’s just comics. You figure out what spoils things the least and read that one first. Having accomplished that order rather handily, I realized I already had all the tools to figure out the chunks before and after it. Once I got things underway they quickly snowballed and I had an entire new guide in front of me in my text editor! That’s the complete history of how the Avengers Reading Order – The Bendis Years (2004 – 2012) came to be! I hope it can help you forge your own way through this remarkable eight-year run of Avengers comics. If you have suggestions for the guide, questions about the order, or ideas for future orders – just add a comment, write a tweet, or send a note.